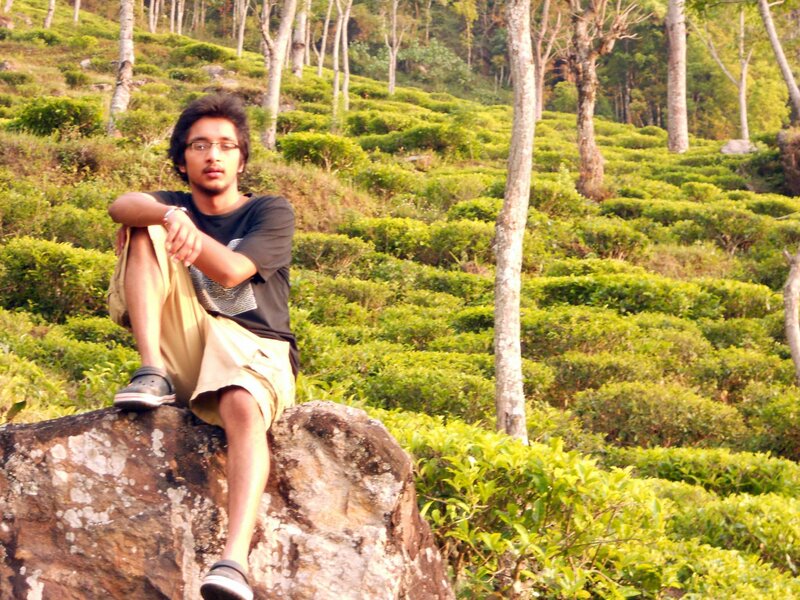 He is pictured at right in his not-so-long-ago teens, perched on a rock in the family’s Kanchanjangha Tea Estate, the first tea garden in Nepal to achieve organic certification. 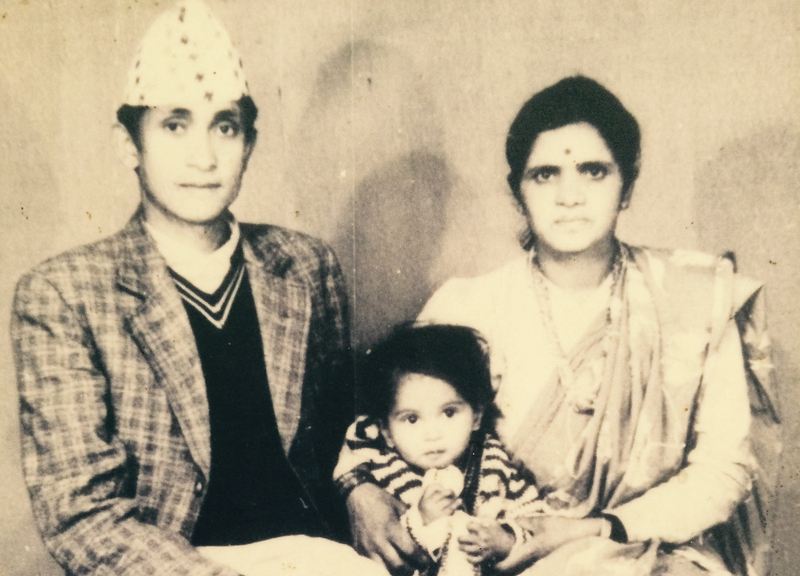 His father, Deepak Prakash Baskota, is nearing four score. The path these two men travel closely adheres to the ancient proverb “Like father, like son” a beloved truth first published in the 1300s but with an oral tradition as old as mankind. Nishchal is Deepak and Dambar Baskota’s youngest son. He graduated last year from Colby-Sawyer College in New London, New Hampshire, settled in Jersey City, NJ and in May 2016 launched Nepal Tea, LLC. Nepal Tea is one of very few companies that imports single-origin tea direct from the garden. This guarantees quality and freshness and a good return for growers who can bypass middle-men in the supply chain. Did you hear his resolve in that statement? Six decades ago when his father was only 15 year old, Deepak Prakash Baskota recalls the first time he saw the thousands of hectares of tea gardens that blanket the foothills of India’s Darjeeling tea growing region. He left inspired. On returning to the village of Phidin, he shared his vision of planting a tea garden near Ranitar in the remote hilly region of Panchthar district in the rugged Himalayan foothills. In 1954 growing tea was a new concept. Villagers questioned his ambitions and his grandiose dream of one day building a tea factory. In response he decided to dive head-first into the project. First he read everything he could find to read, borrowing books to better understand what was required, and then exploring the nearby hills in search of terrain suitable for tea. Ranitar is 50 kilometers north of tea-rich Ilam but the only way to know for certain whether tea would thrive was to conduct soil tests. Deepak learned that the nearest soil laboratory was in Siliguri, West Bengal and so he walked 167 kilometers across the foothills of northern India carrying two heavy sacks of soil. The trip took three days. Later he discovered that delivering a handful of soil would have been sufficient. Encouraged by the positive results but unable to purchase land, he and his wife, Dambar, planted the first tea trees in their backyard. Then, as the trees matured during the next four years, he invested in new plantings, visiting Darjeeling as often as possible to learn how to make tea. Gradually villagers began to grasp the potential and offered adjacent land for expansion until there was more than 200 acres. Growers established a cooperative to sell their leaves. Eventually they produced enough leaf to require a factory which was completed in 1984. The family prospered, making Nishchal’s childhood very different than that of his father and mother. Yet he developed the same confidence and self-motivation that led him to found a national newspaper at 17 and manage a project to build a school for underprivileged children during his college years. 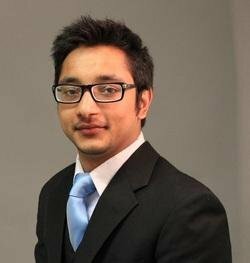 He volunteers for the Nepal Red Cross Society and 4 E’s Social Service programs. He worked as a financial planning analyst during his school years. Nepal Tea is a fine purveyor worthy of your donations but its mission runs deeper than commerce. Children in Nepal do not receive a free education. One-in-four live in poverty and only 57% of Nepali adults can read and write. Banskota said a portion of tea sales are donated to a scholarship fund that has educated 2,300 students since 2002. Nishchal would like every child of the 600 farmers who work at the Kanchanjangha Tea Estate and Research Center (KTE-RC) to have the opportunity he enjoyed. This is your opportunity to make the vision of two generations of dreamers a reality.